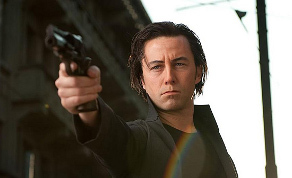 Belfast visual effects company Blacknorth have spoken about their work on critically-acclaimed Hollywood blockbuster ‘Looper’. The Northern Irish company helped contribute to the visual effects production of the sci-fi thriller starring Bruce Willis and Joseph Gordon Levitt, which follows hit men who assassinate targets sent from the future. Blacknorth helped San Francisco-based studio Atomic Fiction create the science fiction environments in the futuristic thriller, working alongside the film’s visual effects supervisor Karen Goulekas. The Belfast studio – founded by Evelyn McGrath and Kris Kelly - produced top tier paint and rotoscoping on a number of scenes in the movie. Blacknorth previously worked alongside Atomic Fiction on the Adam Sandler comedy ‘Jack and Jill’ and have recently completed work on ‘Good Vibrations’. They have also previously worked with RTÉ, Northern Ireland Screen and the Irish Film Board.